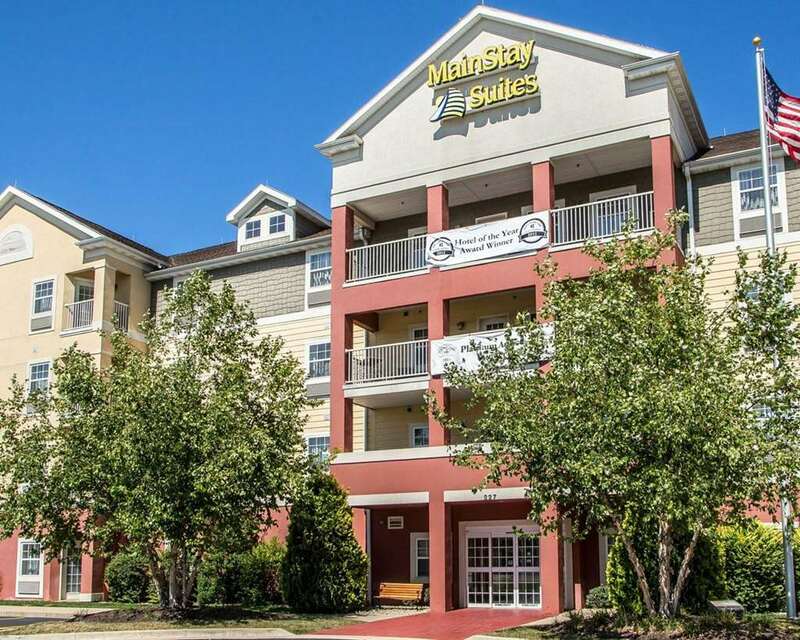 Live like home at the MainStay Suites St. Robert - Fort Leonard Wood hotel in Saint Robert, MO. Nearby attractions include Trail of Tears National Park, Route 66 Courthouse Museum and Old Stagecoach Stop Museum. Our residential-style suites include a fully-equipped kitchen with a microwave, refrigerator, coffee maker, two-burner cooktop, cooking utensils, cookware, dishes and a dishwasher. Additional amenities include a hair dryer, desk, iron and ironing board. Plus, take advantage of our complimentary continental breakfast, free WiFi, a fitness center, business center and a seasonal outdoor pool. Also, earn rewards including free nights and gift cards with our Choice Privileges Rewards program.